If you’re looking for a tried and true SUV that comes equipped with the modern features you need, look no further than the Chevy Tahoe LTZ SUV. This spacious truck-based can hold up to 94.7 cubic feet of cargo, and can reach an efficient 23 mpg highway despite its large size. But with 4G LTE Wi-Fi and a Bose® Centerpoint® Surround Sound premium 10-speaker system, this isn’t any old SUV. The Chevy Tahoe is best known for popularizing the full-size SUV segment, and this large SUV continues to be a favorite today. Visit Patsy Lou Chevrolet today to see why so many drivers still count on the Chevy Tahoe. 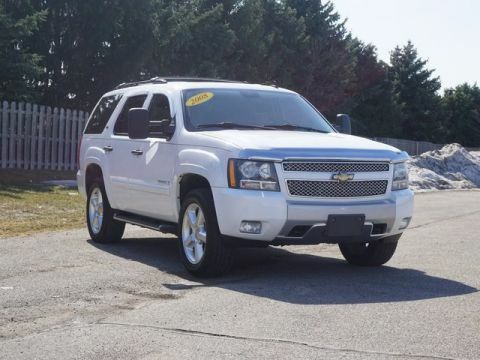 2008 Chevrolet Tahoe LTZ 4WD, ABS brakes, Alloy wheels, Compass, Electronic Stability Control, Front dual zone A/C, Heated door mirrors, Illuminated entry, Low tire pressure warning, Remote keyless entry, Traction control, XM Satellite Radio. Odometer is 17949 miles below market average! PATSY LOU BUICK GMC/ MEGA LOT 810-732-7500. Recent Arrival! 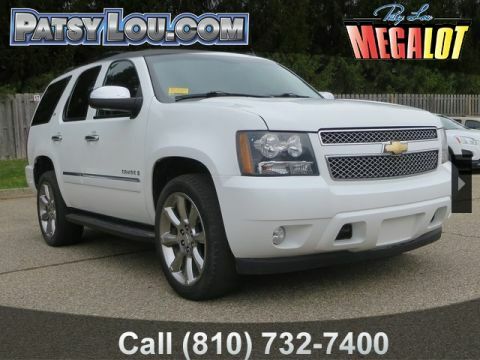 2009 Chevrolet Tahoe LTZ Odometer is 42822 miles below market average! PATSY LOU BUICK GMC/ MEGA LOT 810-732-7500. 2015 Chevrolet Tahoe LTZ ABS brakes, Alloy wheels, Compass, Electronic Stability Control, Emergency communication system, Fog Lamps, Front dual zone A/C, Front Heated Reclining Bucket Seats, Heated & Cooled Driver & Front Passenger Seats, Heated 2nd Row Seats, Heated door mirrors, Heated front seats, Heated rear seats, Illuminated entry, Low tire pressure warning, Power Adjustable Pedals, Power Liftgate, Remote Keyless Entry, Remote keyless entry, Traction control. PATSY LOU BUICK GMC/ MEGA LOT 810-732-7500. 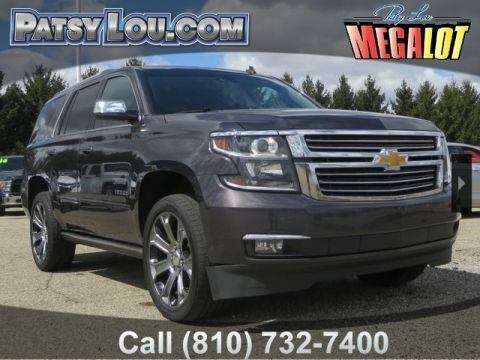 When you’re ready to test drive a dependable vehicle that doesn’t skimp on power and advanced features, come see the Chevy Tahoe LTZ at Patsy Lou Chevrolet! We look forward to helping you find your next vehicle.